The constitutional process in Russia has its origins in the beginning of the nineteenth century. By this time, the democratic constitution of 1787 was already in effect in the United States and Britain had built up its own experience of constitutional regulation of the state through a body of statutes that acted as a constitution though were not united as a single document. With the ascent of Tsar Alexander I to the Russian throne, the idea of reforming Russia’s political system through creating a constitution that would guarantee citizens their personal freedom and civil liberties became increasingly popular. The first results of this process were seen in the Kingdom of Poland, to which Alexander I granted a constitution that provided for the creation of a two-chamber parliament, a system of local government and freedom of the press. At the same time, work continued on a draft constitution for Russia itself, which culminated in the 1820 “Founding State Document of the Russian Empire.” Adoption of this document was postponed indefinitely, however, and Poland too ended up losing its constitutional privileges in 1830. Russia came close to adopting a constitution during the reign of reformist Tsar Alexander II. The abolition of serfdom in 1861 and steps to establish a local government system in the towns and the countryside gave rise to hopes in society that the country would get a constitution. In 1881, however, just before he was due to sign a manifesto opening the way to broad economic and administrative reform, Alexander II was killed by a terrorist. This barbaric act of violence interrupted the constitutional process in Russia. Constitutional reform in Russia began in earnest with the manifestos issued by Tsar Nicholas II. The “Manifesto on Improving the State Order” of October 17, 1905, proclaimed “the foundations of civil liberties based on genuine personal inviolability, freedom of conscience, speech, meeting and association”. This manifesto also declared the unshakable principle that no law could take effect without the approval of the State Duma and that the elected representatives of the people would have the effective possibility of taking part in supervision of the conformity with the law of the authorities’ actions. 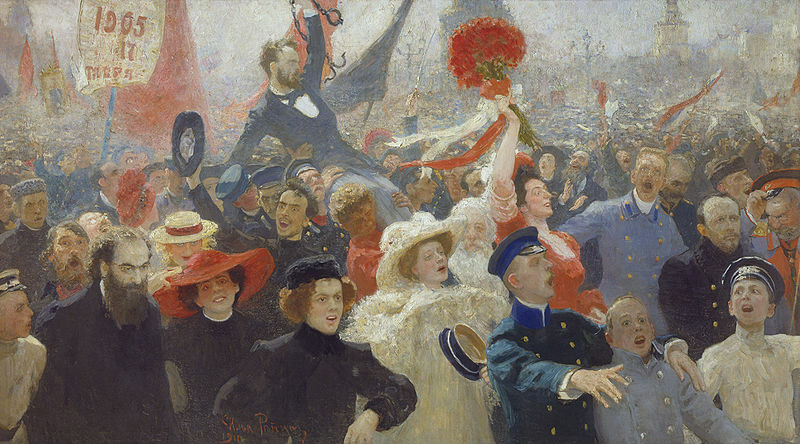 The “Fundamental State Laws” of April 23, 1906, developed the manifesto’s provisions but at the same time also ensured the tsar kept firm control over all these processes. The fundamental laws established a two-chamber parliament (the State Duma and the State Council), but the tsar also retained far-reaching powers and no law could come into effect without his approval. The Council of Ministers was transformed into a permanently functioning body appointed by the tsar and accountable to him alone. The tsar retained complete control over setting government policy, especially in the areas of foreign policy and military affairs. Voting rights were introduced for electing the State Duma. This gave broad sections of the population the right to take part in elections, though in unequal conditions. The State Duma was to be elected for a five-year term and had the right to pass all laws, though laws could also be passed by the tsar, with the approval of both houses of parliament. Although the reformist plans that arose from time to time in tsarist Russia paved the way for considerable transformation, their implementation was constantly postponed due to numerous internal and external circumstances, above all the lack of consensus in society about their necessity and expediency.